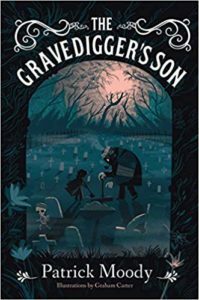 Today, we’re ELATED to have this opportunity to sit down and speak with Patrick Moody, author of THE GRAVEDIGGER’S SON, an entertaining Middle-Grade horror novel from Sky Pony Press. In today’s episode, Patrick chatted with Jed to discuss his debut novel, What inspired his story, What does he wants his readers to take away from his novel, some fun facts about his book and upcoming projects. Overall, there is a lot of incredible insights into Patrick’s writing, his childhood experiences living next to a graveyard, and what motivated him to create great horror content for young readers. Hope you guys enjoy the interview as much as we did recording! Patrick is the author of numerous short stories, ranging from adult horror to Middle-Grade fantasy. His work has appeared in several journals and magazines, and a few have been adapted into audio dramas. A group of middle-grade authors working to prove that spooky stories serve an important role all year round. THE GRAVEDIGGER’S SON is available on Amazon! What sparked Patrick’s love of the scary and the frightening, and what inspired him to write a spooky horror novel for young readers? 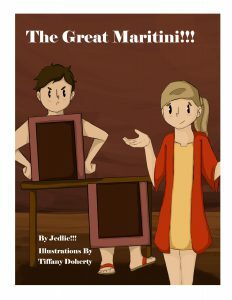 What kind of conversations parents and kids can have after reading this book? Where can readers find out more about Patrick and his work? A big Thank You to Patrick Moody for joining us! Glad you all could join us for today’s guest interview! We hope you’ve enjoyed this interview and we look forward to introducing you to some great guests in our next episode. PreviouslyDear Libby: Will You Answer My Questions about Friendship?